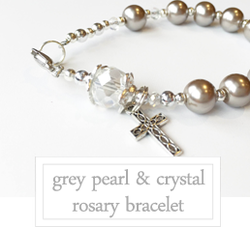 Our stunning rosary bracelets provide an easy way to carry a rosary with you, to be used for prayer. 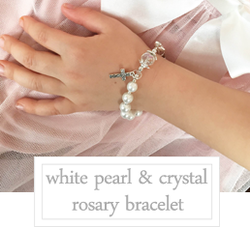 With pricing starting as low as only $6.95 per bracelet our rosary bracelet kits, or finished rosary bracelets, are the perfect activity or gift for a Catholic First Communion, Baptism or Confirmation. Our rosary's will also be cherished by Christian faith youth ambassadors or rosary club members. Order one bracelet for yourself or many more as gifts for family, friends or a grade 2 class celebrating their blessed First Communion! 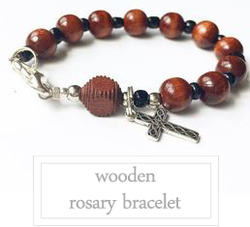 To see how to pray using our rosary bracelet, click here.